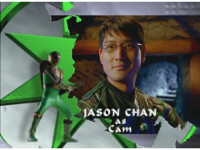 Opening credits scenes, PRNS Opening Credits V1.3. Sensei Guinea Pig talks while standing in front of the Girl Sport magazine. Zurgane jerks arm in front of box. All five Rangers ninja streak off of the beach. 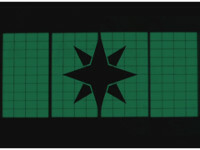 The five Rangers fire the Thunderstorm Cannon forth. Red rides on his Tsunami Cycle away from massively exploding Kelzaks. 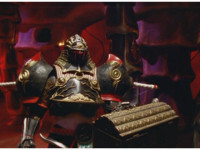 Samurai Storm Megazord is formed. Lion, Hawk, and Dolphin race together. 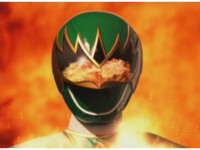 Visors opened, each of the Wind Rangers smile. Hunter & Blake pose while visorless. 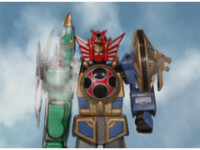 Thunder Megazord strikes the Spin Blade forth. 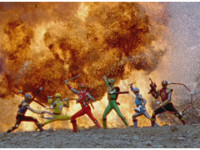 Explosions erupt behind the six Rangers as they race through a river bed. Storm Megazord in Lightning Mode flies straight up. 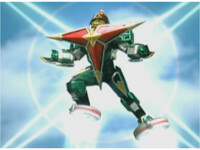 Storm Megazord in Lightning Mode rolls down a ramp.